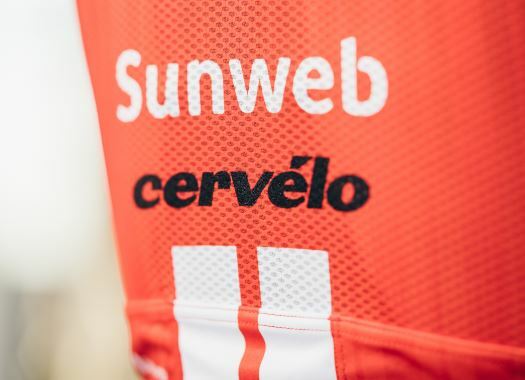 Team Sunweb started at the Danilith Nokere Koerse with only five riders, but it was enough to keep Ceel Bol safe and put him in a good position to take the victory. The peloton faced a 195-kilometre race and the speed caused nervous moments in the race, that ended up in a few crashes. Jai Hindley crashed with around 50 kilometres to go and Max Walscheid had the same luck in the last metres of the race, but Bol ended up making up for all the sacrifices and took the victory. "Starting with five guys the plan was always to stay calm and be there in the crucial moments and we did that well," said the Dutchman at the end of the race. "With around two and a half kilometres to go we took the front with Max and Asbjørn (Kragh Andersen), with me behind, and I had the perfect run into the line. "It was a really good job from the guys and I’m super happy to have had the legs to finish it off for them: it was a team win." Max and Jai have had doctor checks and they have only sustained abrasions across the body. The initial examinations showed that they didn't suffer any fractures.